Part 2 of a series of posts on Home-Longing. Read Part 1, Home in Language: Why Speaking in Your Mother Tongue is So Refreshing. One thing that is markedly distinct about the change to suburban life, with all the space that comes with it, is its isolation. Perhaps people enjoy their nice houses so much that they don’t come out? Over the past months, I kept saying, “Where is everybody?” All these houses, and I didn’t see anybody in their front or backyards, or on the streets. Maybe because it was winter. I saw their parked cars though, so there was evidence of life. But when there are not many places to gather, how in the world are you supposed to find or form a tribe? Sebastian Junger’s concise and poignant book, Tribe: On Homecoming and Belonging, was especially resonant when I read it earlier this year. It delves into the role of community in a person’s mental health and well being, except that that description is so watered down and doesn’t do the book justice. Junger calls on the properties of ancient tribal social structures that, though seen as primitive by modern people, in fact supply a sense of home and belonging to their members commonly lacking in modern society. The word “tribe” is far harder to define, but a start might be the people you feel compelled to share the last of your food with… This book is about why that sentiment is such a rare and precious thing in modern society, and how the lack of it has affected us all. It’s about what we can learn from tribal societies about loyalty and belonging and the eternal human quest for meaning. It’s about why—for many people—war feels better than peace and hardship can turn out to be a great blessing and disasters are sometimes remembered more fondly than weddings or tropical vacations. Humans don’t mind hardship, in fact they thrive on it; what they mind is not feeling necessary. Modern society has perfected the art of making people not feel necessary. It’s time for that to end. It begs the question, is there a group of people whose survival is so important to me that I would share my last food with? Wealth and affluence, I daresay the mark of modern society, come with many great blessings. With them, many basic human sufferings are avoided and we are enabled to enjoy and entertain ourselves with much delight. Vacation, eating out, hobbies, etc. But there are shadows that lurk behind these blessings that may catch people unaware. The fact that our money can satisfy so much of our needs, bolstering our independence, by definition lessens our need of other people. We like this. We like to be able to move and do things on our own and not depend on someone else’s good graces. Take exercise equipment. In my last apartment I lived in (and boy, what a great apartment it was), I used to walk to my local gym to work out. I saw other people exercising and running, which inspired you and boosted your own motivation. I interacted with the staff and also increased the chances of running into coworkers who lived in the area too. When my husband and I decided to buy a treadmill instead of paying for gym membership, the convenience of running at home was great to have, but it came at the expense of the people exposure at a communal space. The only “interaction” I would have while running was maybe a podcast, the recorded voice of another human being. Obviously, there are pros and cons of each option—I’m not saying one is absolutely better than the other. But it is a trade-off. The pros and cons differ. Junger stretches this privatization of resources and links it further to mental health. Perhaps one of the big cons of independence and self-sufficiency is loneliness and depression. Money doesn’t buy everything, obviously. Especially in an individualistic culture, the lack of people interaction can have a serious effect on someone’s mental health. Financial independence can lead to isolation, and isolation can put people at a greatly increased risk of depression and suicide. This might be a fair trade for a generally wealthier society—but a trade it is. In contrast, one of the blessings of “financial dependence” is the community aspect of shared resources. Sure, it comes with many frustrations—you have to deal with other people—but loneliness is likely not part of it. Junger argues that often people cherish the memories of disasters, whether natural or manmade (war), because they seem to level and ennoble human nature. They bring the best in everyone, because each has a role to play in the survival of the community. Everyone feels needed and important. The beauty and the tragedy of the modern world is that it eliminates many situations that require people to demonstrate a commitment to the collective good. Protected by police and fire departments and relieved of most of the challenges of survival, an urban man might go through his entire life without having to come to the aid of someone in danger—or even give up his dinner. Likewise, a woman in a society that has codified its moral behavior into a set of laws and penalties might never have to make a choice that puts her very life at risk. What would you risk dying for—and for whom—is perhaps the most profound question a person can ask themselves. The vast majority of people in modern society are able to pass their whole lives without ever having to answer that question, which is both an enormous blessing and a significant loss. It is a loss because having to face that question has, for tens of millennia, been one of the ways that we have defined ourselves as people. And it is a blessing because life has gotten far less difficult and traumatic than it was for most people even a century ago. 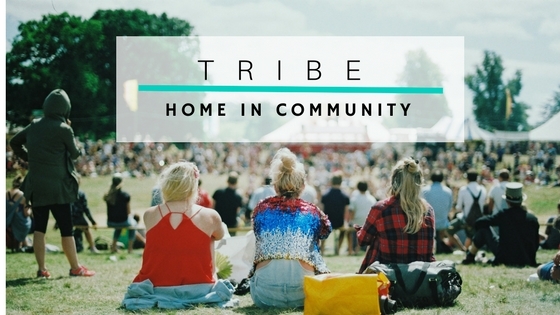 To belong to a tribe, a community with shared experiences, is to find a home. How do you find your tribe? For more, read Tribe: On Homecoming and Belonging by Sebastian Junger. It goes deeper into the tribal psychology of war, PTSD, and what a society should do with regards to war veterans. This article is Part 2 of a series of posts on Home-Longing. 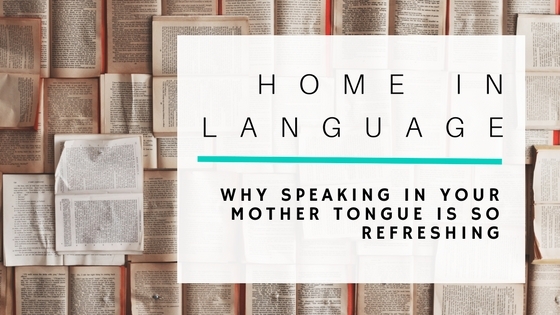 Read Part 1, Home in Language: Why Speaking in Your Mother Tongue is So Refreshing. Part 1 of a series of posts on Home-Longing. If my sister speaks English to me, there is a first, instinctive reaction within me that says, “Why are you speaking to me like that?” It’s not because there’s anything wrong with her tone or words, but simply because English is not our first language. English was a foreign language that we acquired. We did not grow up speaking English, did not fight or argue in English, and did not learn sisterly affection in English. Consequently, English doesn’t fully reflect the nature of our relationship, nor does it capture exactly the sentiments that we want to express to each other. The language that does these things is Indonesian, our mother tongue. Of course, we get more used to speaking English to each other because we live in the U.S. Yet the psychology of speaking Indonesian vs. English is something that, I don’t think, we can change. Speaking a foreign language to each other makes us feel foreign to each other. It just feels weird, too formal, we often say, as if the language puts a distance between us. Language plays a powerful role in creating that visceral sense of home and belonging in a person. There’s nothing simpler than feeling like you belong when you hear people speak in your native language, especially in a foreign place. This homey feeling comes from the very basic premise of language, which is to connect and communicate to another person on the same terms. To understand and be understood, without having to explain much to say something simple, is to feel at rest, at home. On the flip side, there’s nothing that makes you feel more foreign than being in a room of people who speak an entirely different language. In this sense, language difference is the first obvious signal of your foreignness. And to find people who speak the way you do is to find your tribe. As in other cultural experiences, the realization of how deep your mother tongue relates to your psyche probably would not come until you step out of your own world or take on another language. If you never left home, then you’d probably never feel homesick. 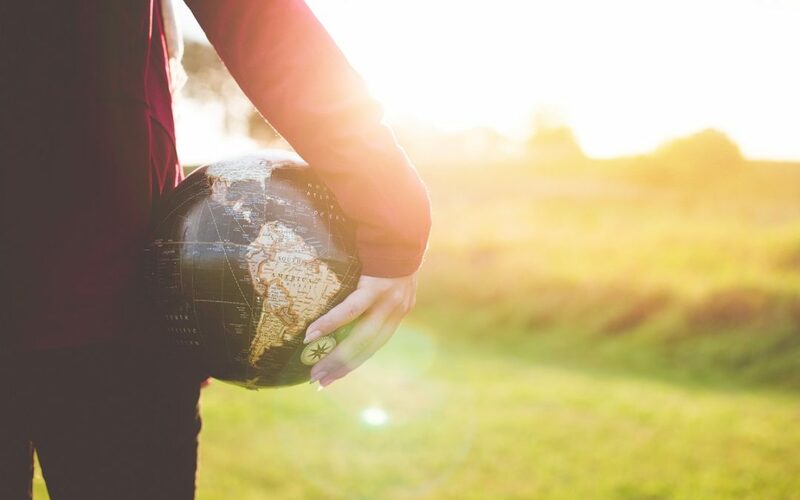 The more prevalent feeling may be, “I need to get out and see the world.” Yet often, you learn more about yourself and your origin once you can compare and contrast it with a different experience. Which is why I’m an advocate of multilingualism. Learning a second language is always a good idea. Learning a third or fourth, and for the masters, fifth, sixth language, and so on, brings a different experience each time. And adding a language enriches rather than diminishes your ability in any particular language, analogous to C.S. Lewis’ description of friendship when it is expanded from two to three people: the more we share our minds with different languages, the more we have of each, since each language shines a light on another, whether by comparison or by contrast. Yet through all the tours of other world languages, nothing will compare to the intimacy and dearness of your own mother tongue. Your mother tongue is your home. My reading interview with Justin Kim touched on this point a little bit, on the difference between reading in our first and second languages. For me, reading in English is more cerebral, even though this is the primary language I read in these days. The analytical part of my brain is engaged more to make sure I understand what the sentence is saying. Reading in Indonesian, though, is entirely different. It’s more natural, and more often than not, I can read faster in Indonesian. I can sense the musicality of the language more, appreciate the poetry in the sentences more, and feel the text more viscerally. When I read a piece of Indonesian literature, I could feel the humidity of the air, the muddy soil, the smell after the rain, the cracks and stains on the wall, the corner kitchen with blackened wall, the vibrant green that only belongs to tropical floras. It is an echo of where I came from. Now, another person’s mother tongue is just as precious to them as it is to you, and as Trevor Noah writes, when you reach out to communicate to someone else in their mother tongue, it becomes a powerful acknowledgement and affirmation of their identity and culture… More on this in a future post. If you happen to be bilingual/multilingual, how have other languages make you appreciate your mother tongue? What’s your experience in reading in multiple languages? Comment below! I would love to hear your story.